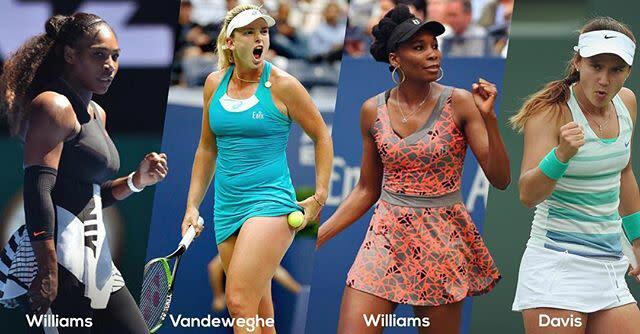 We’re excited to welcome some of the world’s best women’s tennis players, including Venus and Serena Williams, to Asheville this upcoming weekend for the Fed Cup. Team USA takes on The Netherlands February 10-11 at the U.S. Cellular Center. Anyone who signs up for our E-Newsletter is eligible to win two tickets to Fed Cup in Asheville. The tickets include access to the "Friends of the Tie Hospitality" area, which includes a hosted bar and catered meals by a 5-diamond chef. Drawing for the tickets will be held on Thursday morning February 8th among new E-Newsletter subscribers. Please fill out the form below. Official contest rules can be found here.